Celebrated annually on the last Friday in April, National Arbor Day highlights the importance of trees, their planting and their care. Architect of the Capitol employees are involved in comprehensive tree care on this day, and every day throughout the year. It all started in 1874 with Frederick Law Olmsted, who was selected by Congress to create a comprehensive landscape scheme for the growing U.S. Capitol. Plan for the U.S. Capitol grounds by Olmsted. 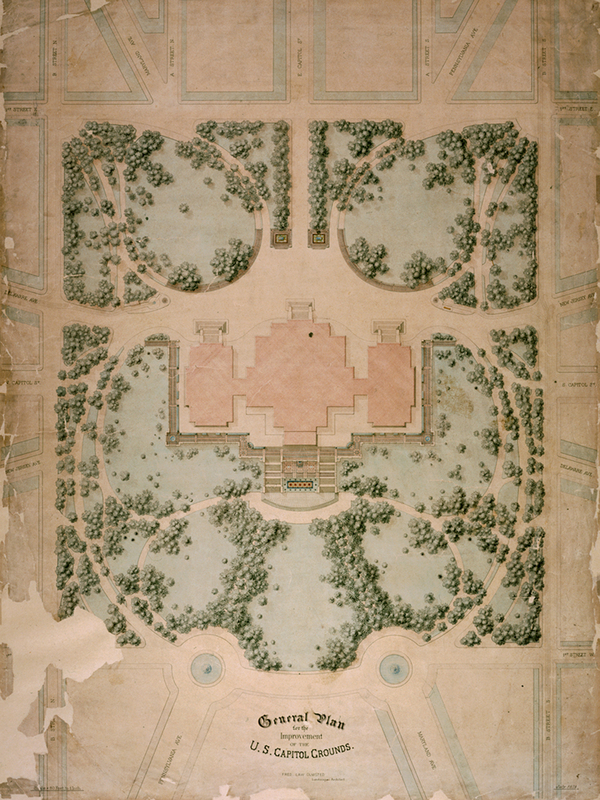 Trees were a major part of Olmsted's park-like design. He purposely used the trees to showcase the U.S Capitol and guide its visitors down inspiring pathways as they approached the building. Crabapple, cherry and magnolia trees found in Capitol Square. One can't help but notice the large number of trees around the campus. 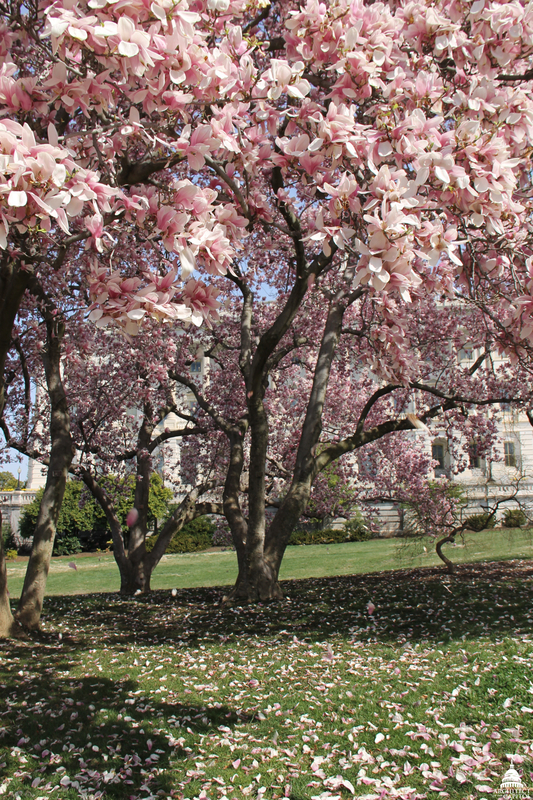 There are currently about 890 trees surrounding the immediate Capitol Building on Capitol Square and more than 4,300 trees throughout the entire 274-acre Capitol Grounds. There is also a large variety of trees—more than 140 species, ranging from deciduous (most common) to evergreen (used infrequently). 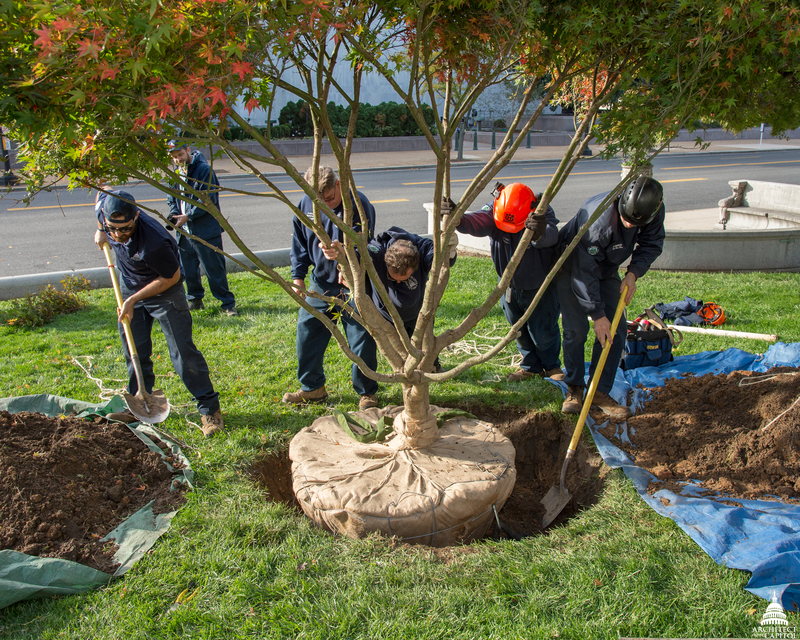 A new tree being planted near the U.S. Capitol. Olmsted's design still drives all decisions made in landscaping on the grounds. Today, the Architect of the Capitol's (AOC) Capitol Grounds team takes it under mindful consideration when selecting and placing new trees. 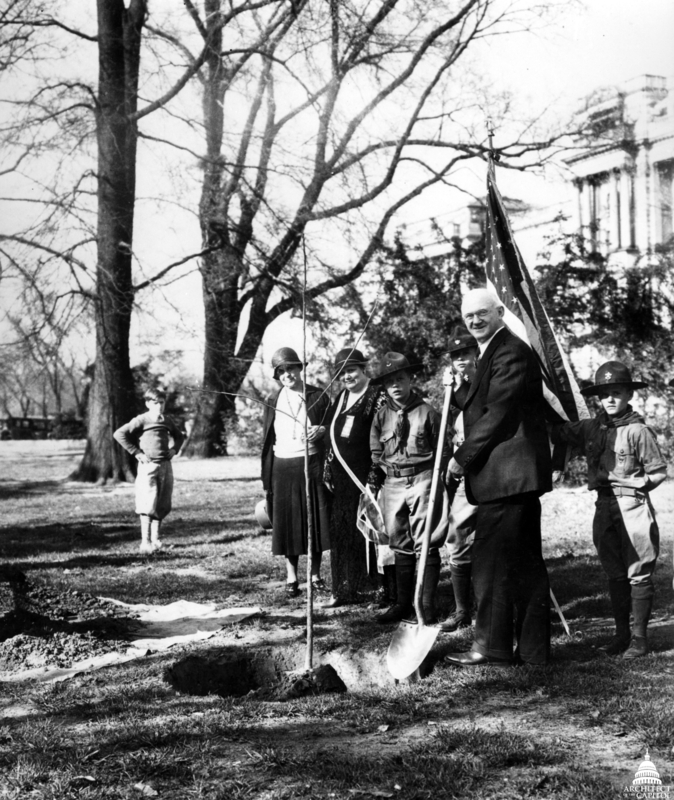 Planting of Morton's elm on the East Front Lawn in 1932. Over the years, trees have been added as gifts from other countries, in commemoration and in memoriam. 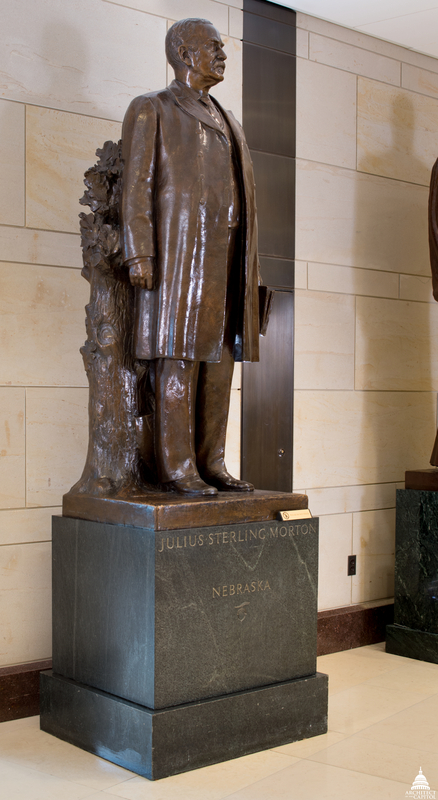 There are even a few trees on Capitol Grounds to celebrate Julius Sterling Morton, the founder of Arbor Day, and his work in advocating the value of trees. Morton's statue with tree related details. 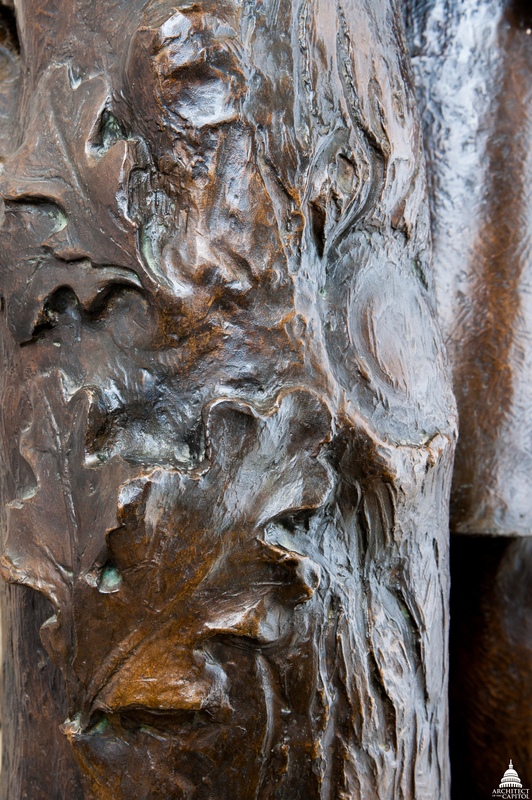 An ode to Morton's fascination with trees continues inside with his bronze statue that greets those entering the Capitol Visitor Center below the East Front Plaza of the Capitol Grounds. Given to the National Statuary Hall Collection in 1937, the base of the sculpture features a tree trunk, sapling, pruning shears and shovel. Tree planted for Anne Frank in memoriam. U.S. Capitol trees, much like its statues, are often labeled with identifying information and details. 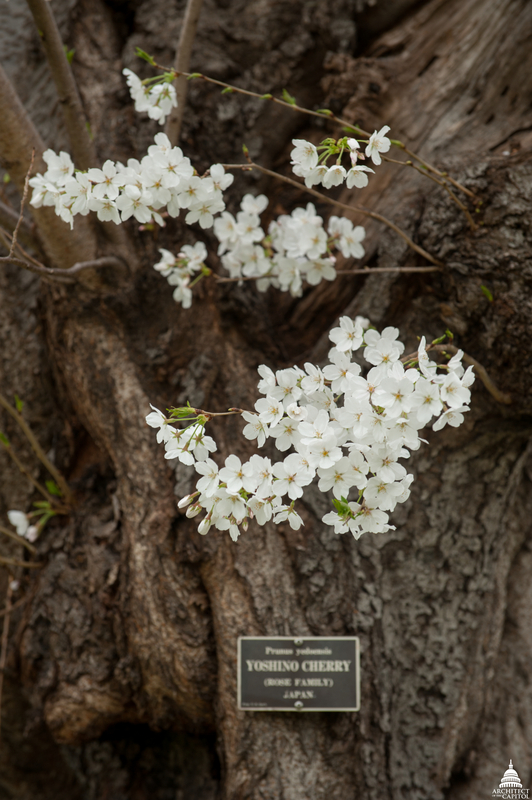 Plaques are placed on the trunk or on the ground immediately surrounding the tree to label its species and any honoree. When you have a chance, I encourage you to go on an outdoor walking tour through the Capitol Visitor Center, explore the grounds on your own and interact with our online tree map. Love what I learn from the AOC blogs. CRS is regularly asked where a certain tree is located or where the tree that used to be where the CVC is now was relocated during construction. The AOC staff are always ready to assist with these questions. 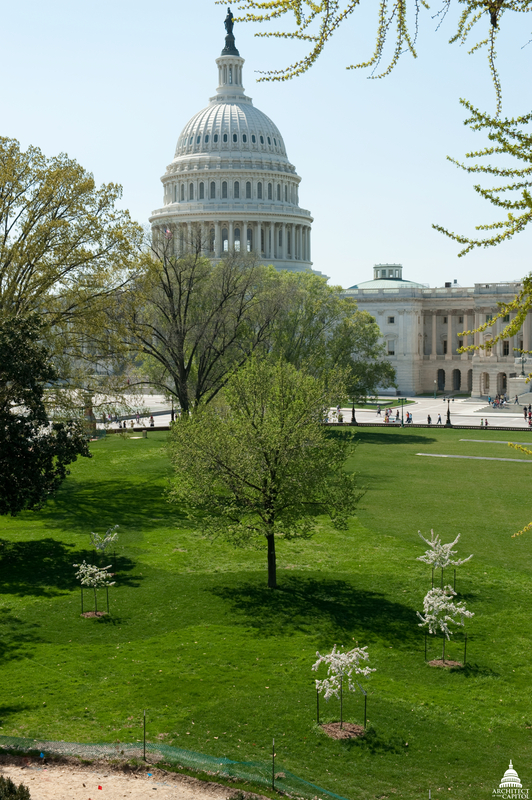 FYI - The tree in this blog with the caption "A new tree being planted near the U.S. Capitol" is actually on the south lawn of the Jefferson Building of the Library of Congress. 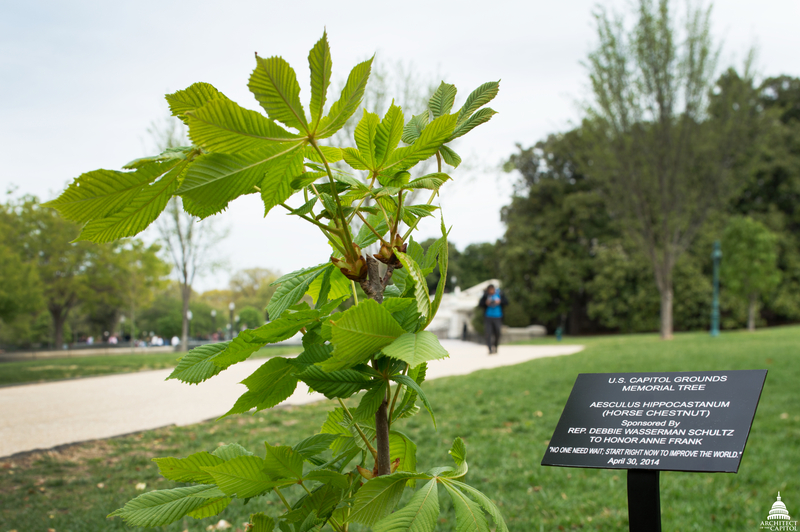 It was planted in 2014 following a brief ceremony on the occasion of the 100th anniversary of the Congressional Research Service. Thanks! Thanks for the additional details, Jerry! Right now our interactive map only has the trees found on Capitol Square, but we're hoping to have all of them (including the CRS tree) added to our map soon.